I am COMMITTED to help local businesses thrive! So, WILL YOU HELP ME drive new LOCAL BUSINESSES?! 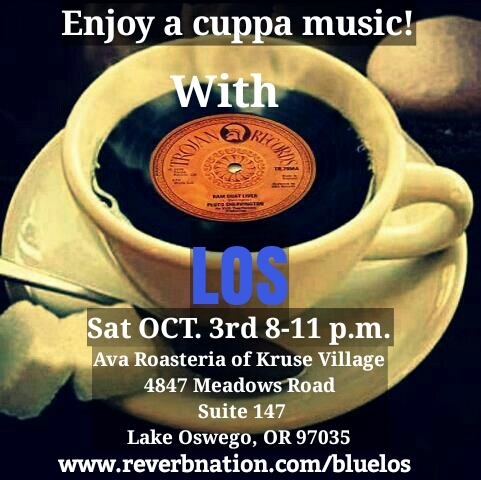 For example; two of the newest venues I play at are Ava Roasteria of Kruse Way (Lake Oswego) and coming soon Ava’s Roasteria of Orenco Station (Hillsboro, OR). They both boast great coffee, amazing pastries and a fantastic staff! But, they are so new, that Google still doesn’t find them. (FOLLOW MY EVENT’S ADDRESS LINKS) I promised Ava that just like in the past, I would bring ALL of my friends and family along to my shows as support. As an added bonus, I promise YOU that I will make it MY mission to knock your socks off with my 31yrs of experience making music when you make your show of “force”. So whaddaya say, huh! You with me starting this Saturday at Ava of Lake Oswego?!!! Good answer! THANKS GUYS, YOU’RE THE BEST!